It’s a safe bet that your block party is going to be a potluck affair. This means everyone gets to bring their own dish to share. It should be organized between appetizers, salads, main courses, side dishes and desserts. The amount of what you’re making will be determined by how many people have committed to coming. It just might mean doubling up your recipe. Block parties are like big picnics. That means all the necessary supplies are needed like paper plates, napkins, cups and plastic utensils. You should encourage your block to embrace the concept of repurposing. In other words, you can use leftover party plates from a super hero birthday or a Halloween party. Why not? They get the job done. If you have kids, then you should think about “sponsoring” at least one activity for them to do with the other kids on the block. You can come up with some relay races or other games of chance. And there is noting wrong with a cooler full of water balloons! A block party means everyone will have the chance to enjoy everyone else’s front lawns. Are your lawns ready for “review?” You get them clear of debris and rubbish with a little help from Junk King Palm Beach. Some block parties stretch across several backyards. That might be where you could definitely put Junk King to work. In one session they can get rid of all kinds of unwanted patio furniture, hammocks, planters and anything else that is an eyesore. Things will look great then for sure! To help get your home ready for a block party, bring in the junk hauling pros from Junk King Palm Beach today. This entry was posted in Palm Beach Junk Removal and tagged block party, Junk King, junk removal on July 31, 2018 by Junk King. Last updated August 2, 2018 . In a lot of sci-fi movies, depictions of the future always involve easy moving. You’ll often see in the background small types of hover crafts carting boxes and equipment all around. Usually, these hover movies are operated by someone walking along side with a remote control. Won’t that be a great thing to make a reality. Until that happens we have to move things the old fashion way by lifting with legs and exerting some muscle power. Just because the basics of move seem simple it doesn’t mean we’re always capable. Plus, there is that issue of needing two movers for the really big stuff. When you need to get rid of junk from your Palm Beach home, you can always count on the great junk movers from Junk King Palm Beach. Every junk removal session set up by Junk King will be staff by two of those great junk movers. What makes them so great? They have a positive attitude. That applies to whatever challenges they might meet on the job. It might be very hot outside (always!) but that won’t slow down the Junk King team. They might need to carry a heavy piece of furniture down from a second floor. This is what they do all the time. And for those extremely bulky pieces, it might make more sense to take the thing apart in order to protect your walls and floors. 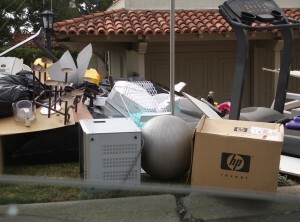 The Junk King junk movers will have all the right tools and experience to get this type of work done. As they are loading up the truck with your discarded stuff, the junk movers will be keeping an eye out on items that could be donated or recycled. They have a ongoing list of these types of items and know which organizations or facilities can take them in. This is a much better approach to disposal of junk than racing towards a landfill. The more trash that goes into a landfill, the less helpful it is for Palm Beach’s environment. Junk King wants to keep this area as pristine as possible. 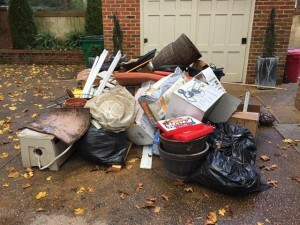 No matter when you’re reading this post, you can set up your junk removal session. During the day, you can call direct. Overnight, you can book online and have it confirmed first thing in the morning. Getting rid of your rubbish won’t be a challenge for the great junk movers from Junk King Palm Beach. This entry was posted in Palm Beach Junk Removal and tagged Junk King, junk movers on July 24, 2018 by Junk King. Last updated July 24, 2018 .